Hailing the coming to power of the Narendra Modi government, he said the victory has put an end to the 800 years of 'slavery'. “I was at the Sai Baba Ashram where Sai Baba told me by 2020 the entire country will be Hindu and 2030 the entire world will be Hindu. 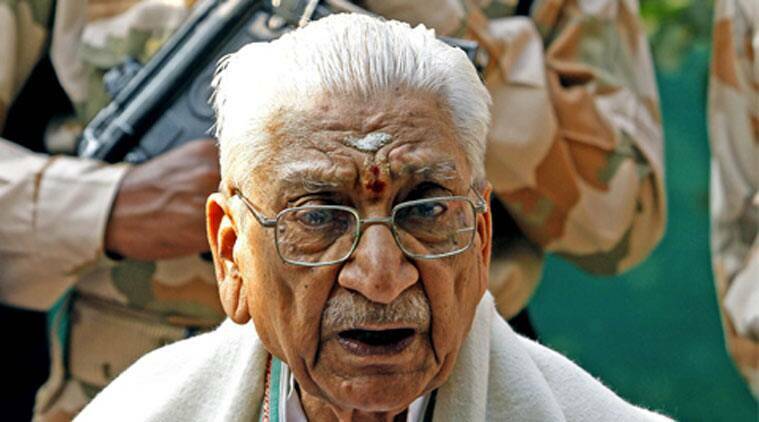 I feel that revolution has started,” said Ashok Singhal at an event. Calling the victory of the BJP- led alliance in the 2014 Lok Sabha elections as initiation of a “revolution” in the country, VHP patron Ashok Singhal on Saturday said by 2020, India would be a Hindu nation. “I was at the Sai Baba Ashram where Sai Baba told me by 2020 the entire country will be Hindu and 2030 the entire world will be Hindu. I feel that revolution has started,” he said at a function here attended by External Affairs Minister Sushma Swaraj and other RSS functionaries. Hailing the coming to power of the Narendra Modi government, he said the victory has put an end to the 800 years of “slavery”. “This is not a modest revolution. It will not remain confined to India but present a new ideology before the world,” he said. He was speaking at a programme for release of a book on the life and work of former RSS chief K S Sudarshan, who died last year with speakers remembering him as someone who encouraged promotion of ‘swadeshi’ model for the country’s development. Swaraj said Sudarshan had created a positive vibe around him due to which any worker could talk to him freely without fear and his “goodness” made him a “saint” amongst his peers. Describing Sudarshan as more a “mother-like” figure in whom she could confide everything, Swaraj said he had genuine concern for the development of the country and advocated the ‘swadeshi’ model of development for making India self-reliant. He was fond of scientific development and looked for ways to use them for the country’s development, she said, adding that his demise last year was a big blow to those who devoted time to research and discovery. RSS functionaries like Bajrang Lal Gupta and Sudarshan’s younger brother, KS Ramesh, as well as Singhal recalled the early life and work of the leader who went on to head the RSS. Senior BJP leader and Lok Sabha MP Murli Manohar Joshi said Sudarshan used to stress on the need to explore the swadeshi model and had great respect for those who engaged in research. “Sudarshan used to discuss research works with me during my tenure as the science and technology minister and was keen on exploring them. “He also got a petrol pump established in Nagpur which provided petrol made of plastic waste and was instrumental in jatropha plantation in different places,” said Joshi.